When you go hunting you know that having the right hunting clothing is a big part of your success. Either you go hunting in the wintertime and you need a good insulated jacket, either you go on hunting on a rainy, windy with a waterproof, windproof jacket, having the right piece of garment is essential. 0.2 Why a hunting coat and not a jacket? For some, a jacket is a jacket and everything that is your last layer might be named a “jacket”. But, some do talk about and appreciate the hunting parka and are quite familiar with its qualities and details. A hunting parka is in fact a type of coat with a hood, often lined with fur or faux fur. The hood gives you good protection against the cold weather and the windy. As this kind of coat was created in the cold Arctic, it’s only natural that it’s supposed to keep you warm in the coldest conditions. A parka is not an “anorak” as typically an anorak is waterproof, hooded and is in fact a pull-over jacket with no front opening. The parka is knee-length cold-weather coat that keeps you warm as it’s fill with down or synthetic fiber and a fur-lined hood. One thing is sure: when you go hunting a good hunting parka or a jacket might do you good! Why a hunting coat and not a jacket? The terms “jacket” and parka are used very often interchangeably, though they are different types of outwear designed to keep you warm when hunting. In order to know what to buy for your perfect hunting experience, you need a better understanding of the terms and of the means of these two types of clothing. The Parka is a hooded outer garment with a knee length and very often has a way to pull the hood in and around the head and face, protecting you from the cold outside. The jacket is also supposed to keep you warm and might get to your knee…So, how do you tell them apart? The hunting jacket is typically lighter when it comes to thickness and material. The jacket is a good choice for a cool, and not very cold weather and gives you more freedom on the move since it’s lighter. On the opposite, the hunting coat is thicker and gives you better protection against the coldest weather. There are several things to look for carefully when picking your hunting parka. Your hunting parka needs to have a main zipper, along many other zippered compartments. 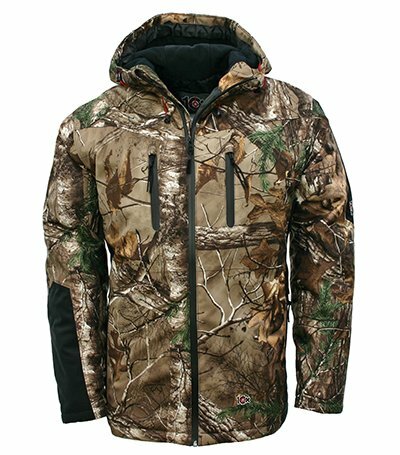 The best hunting coats out there come with heavy duty zippers, but easy enough to use when wearing gloves. Look for storm flaps that cover pocket openings and the main zipper. When you are planning to use the hunting coat on a windy weather, you might want also storm flaps with clasps, for more efficiency. Your hunting parka should definitely be hooded. Some hoods have fur, some drawstrings for better adjustment or clasps for better isolation. Either it’s a removable hood or not, a hunting coat should feature one. When you go hunting you have many small items to store so your hunting parka should give you plenty of pockets for storage. When the pockets have zippers or at least buttons for closure, it’s obviously they also give secure storage. The larger the pockets they are, the more space you get for your small gear. When it comes to the sleeves, some appreciate Velcro or buttons that tighten them. Take a better look so that the sleeves are long and large enough to give you the right fit even when gloves on. A good hunting coat is also breathable. Some feature zipper under the armpits for better ventilation and you can also find hunting coats with vents on the back or sides. Your hunting parka may be multi-layered and come with a detachable liner. 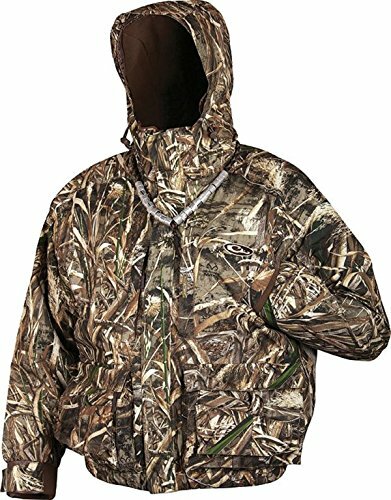 In case you find this kind of parka, don’t sit on a fence and get it as this is a good feature for your hunting coat to have! Before buying your parka, take a good thought on where and when you’re going to wear your hunting parka. Your hunting coat should give you some freedom when you move, with or without many under layers. A snug fit isn’t always the best idea. You’d want also a waterproof hunting coat in most cases. Breathable is also important as any hunting means some physical effort. It might look like a parka is just a parka, but you can find hunting parka that are stylish and look nice. Practical doesn’t necessarily mean ugly, right? Your hunting coat might keep you very warm or…not. But having the choice to detach the insulation is the best option anytime. All in all, for the money you pay, you get an amazing 3-in-1 hunting parka, versatile, waterproof and …so many other good things. Another great choice for a waterproof hooded Parka is this 10X Men’s Insulated Waterproof-Breathable Hooded Parka. But, all in all, you get an amazing parka that comes with many great features and only few down sides. 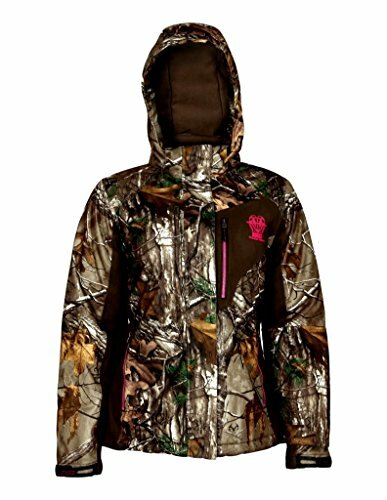 For the women who hunt and really like to wear a hunting coat, a great choice it this Rocky’s Women’s Realtree Ram Parka. When we think about the cons, we only need to mention that there is no removable insulation. This hunting parka is a great buy for any woman hunter. When you want to stay warm and comfortable when you go hunting, this Drake Waterfowl Strata Coat is the sure thing. When it comes to this hunting coat, we could speak on and on about its ups and only for 1 second about the downs. Because it’s not a great thing that this coat has no detachable liner and you can’t wear it all year long. Not a prefect balance, right? 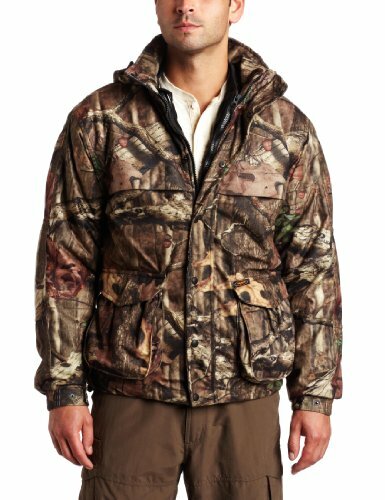 As you want to only buy once a hunting parka, this Browning 4-in-1 Dirtybird Parka might be the best choice for you. As you can see, this is a great hunting parka and the only thing we can complain about (even though, considering the high performances on the parka, it’s totally justified), is the steep price.